Heaven has gained another talented basket maker and the basket community has lost a spirited and dedicated instructor. 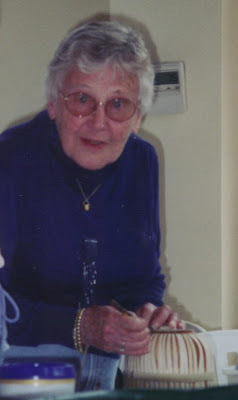 Gladys Ellis, originator of the Mattapoisett Handbag basket passed into eternal peace on January 9, 2011, at the age of 94. 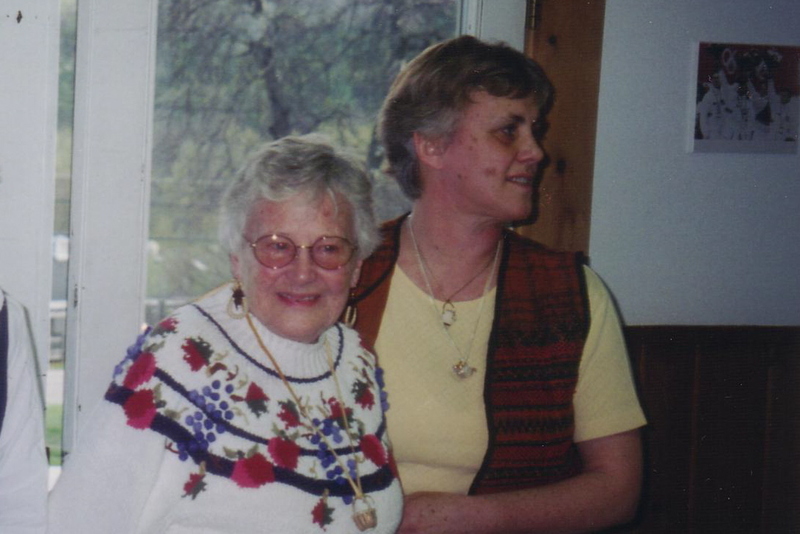 Gladys, shown here with her daughter Anne Lima, was a native of Mattapoisett, Massachusetts. She combined her interest in scrimshaw and basketry into a unique regional basket style. The Mattapoisett handbag combines scrimshawed ivory panels, handles and fittings with coiled pine needles stitched with raffia. Gladys taught this style of basketry along with traditional Nantucket Lightship basketry to a legion of students over the years at conferences, adult education classes and at her studio. 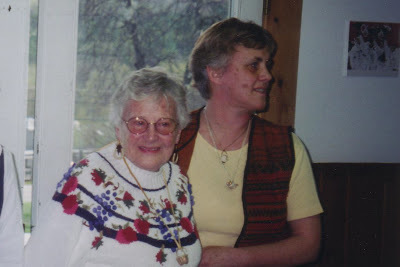 Gladys was honored as a featured faculty member at Stowe Basketry Festival. Gladys is shown here instructing a Nantucket Basket Class at the Stowe Basketry Festival. 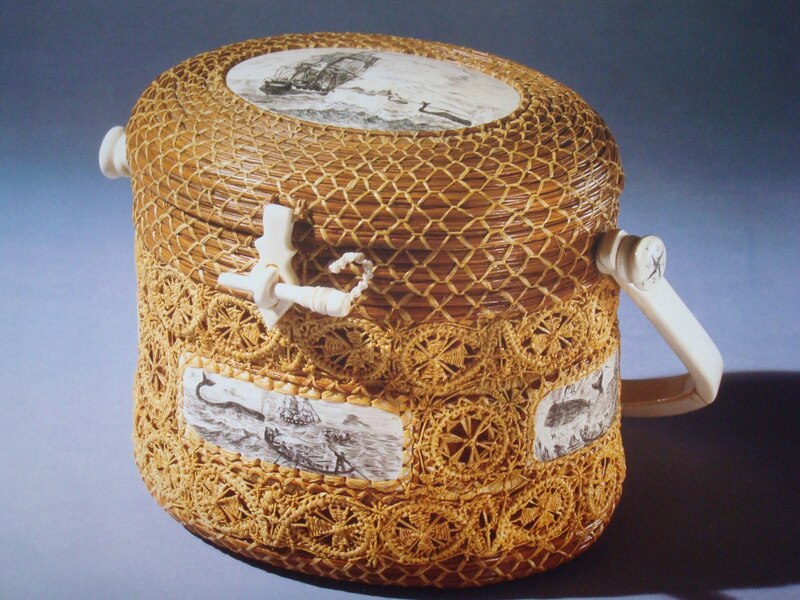 This is an example of the Mattapoisett Handbag basket style originated by Gladys. Peace be with you and your gentle spirit Gladys. It was my distinct honor and pleasure to have known you. I have a Mattapoisett bag that Gladys made for my mother..It is is perfect condition...Was made in 1984 and I would like to sell it. Please contact me if you are interested, or know who I can contact to seel it.